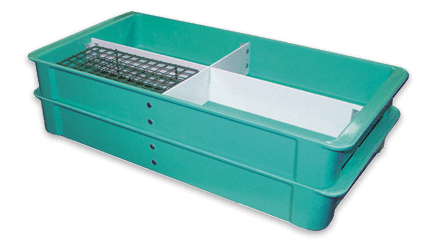 MFG Tray offers a variety of custom fabrication options for its various lines of material handling containers, trays, totes and wash boxes. 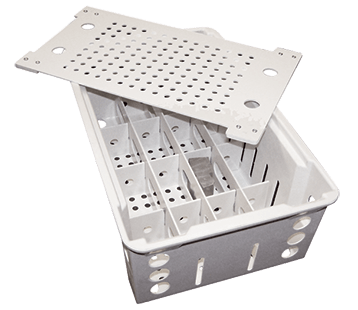 Fabricated slots and holes can be added to trays and containers to secure parts for assembly operations, and divider sets can be added for part or component organization. 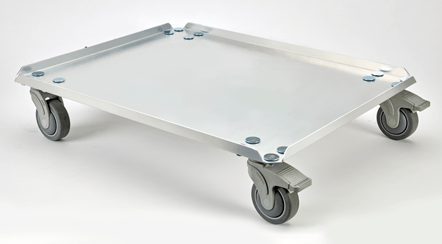 Side or drop handles can be added to trays to further enhance transporting and stacking. Additional handhold options include recesses, cut-outs, reinforced handles, and snap-on card holders. 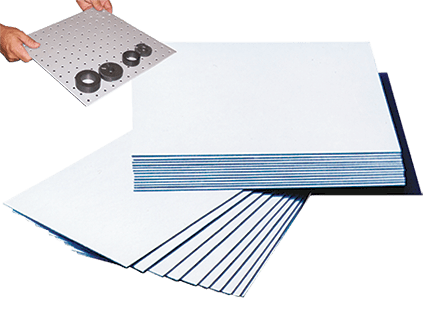 MFG Tray stenciling and silk-screening options enable trays to be labeled with such information as departments or company names. The company also offers 3′ x 6′ sheets of composite material for work-surface applications.